The movies just keep coming to TDS TV on Demand. 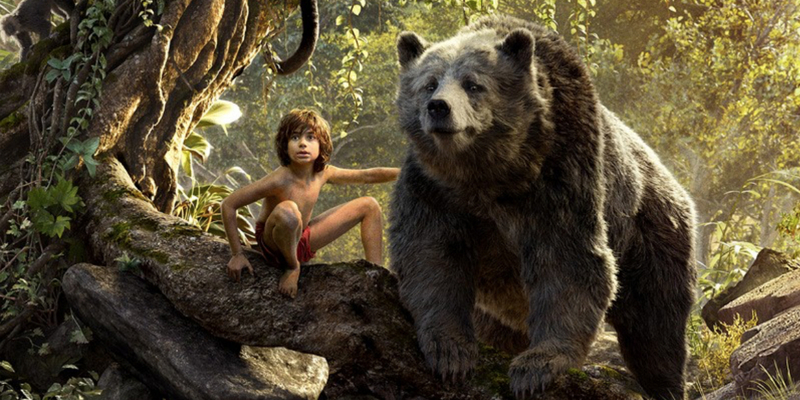 This week’s highlight is Disney’s stunning live action update of “The Jungle Book,” but with all the upcoming additions, your only problem will be deciding which movie to select. Disney’s live action take on their animated classic is a visually breathtaking affair. Add in a thrilling story and great performances (including the voices of Bill Murray, Lupita Nyong’o, Ben Kingsley, Idris Elba, Christopher Walken and Scarlett Johansson) and you have a modern-day masterpiece. 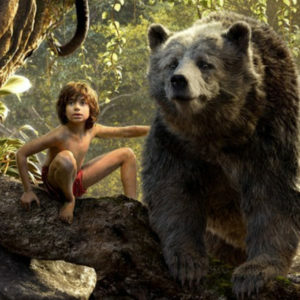 “The Jungle Book” is a superb film that everyone in the family will love. Available August 30. Andy Samberg plays a Justin Bieber-like pop star in this very funny send up of the music industry. In the film, Samburg finds his star is waning so he plots a reunion with his old rap group The Style Boyz. Lots of cameos from celebs and musicians add to the fun in this Spinal Tap-esque satire. Available August 30. Tragic romance starring Emilia Clarke as a quirky woman hired to care for a recently paralyzed man, played by Sam Claflin. It’s sort of an adult version of “The Fault in Our Stars,” complete with an outstanding performance by Clarke. Available August 30. Clever, quirky and fun, “Now You See Me 2” is an entertaining thriller laced with outlandish twists and action, although it doesn’t quite reach the heights of its predecessor. In this sequel, the Four Horseman (Jesse Eisenberg, Woody Harrelson, Dave Franco and Lizzy Caplan) are coerced into pulling off an improbable heist. Available September 2. Suspenseful film about an average Joe who takes over the show of a financial TV host to draw attention to the misdeeds of Wall Street. George Clooney, Julia Roberts and Jack O’Connell are outstanding in the leads, particularly O’Connell as the blue collar worker who has lost everything – and has nothing to lose. Available September 6. Film about Max Perkins, the editor at Scribner’s in the 1920s, and his relationship with famed writer Thomas Wolfe. It’s all a little stodgy, but fans should enjoy this drama about one of the great periods of American literature. Colin Firth, Jude Law and Nicole Kidman star. Available September 6. Emotional drama about a rock star (Tilda Swinton) and her filmmaker boyfriend (Matthias Schoenaerts) whose vacation in Italy is invaded by and obnoxious old friend (Ralph Fiennes) and his daughter (Dakota Johnson). Needless to say, there are secrets and betrayals and lust in the cards as our characters come to a crossroads that will change their lives. Available September 6. Susan Sarandon stars as a recently widowed woman who injects herself into lives of everyone around her, including her daughter. The film is predictable, but charming and funny, with Sarandon shining as the woman who can’t stay out of everyone else’s affairs. Available September 6. Kevin Bacon headlines this horror film about a family that unknowingly awakens an ancient supernatural entity while on vacation in the Grand Canyon. The film sports all the horror movie cliches, but manages to provide some good thrills without the explicit gore that dominates so many films of the genre. Available September 6. Something for the kids – especially young girls. Princess Alise has to learn what it means to be royalty, but what she really wants is to be a swashbuckling pirate. She gets her chance when she sets sail for adventure and ends up stranded on a deserted island. This is the sixth “Swan Princess” film, and the first to be done completely in CGI. Available September 6. The title says it all! Robots are designed to fight it out in this geek-fest of a competition. While “Battlebots” suffers when the robots aren’t taking it to each other, this two-hour episode is the season finale – so expect some ultra-cool robot combat to wrap up the season. Thursday, September 1, ABC. Twenty years later, A&E presents another look at the murder of six-year-old beauty queen JonBenet Ramsey. The show is offering the first-ever look at the interviews conducted with JonBenet’s brother Burke, as well as a sit-down with John Ramsey, JonBenet’s father. The producers also say they will present ‘shocking’ DNA evidence that will point more conclusively to who killed JonBenet. Monday, September 5, A&E. Donald Glover stars as a aimless young man who is drawn into the Atlanta rap scene when his cousin’s music career takes off. It’s an honest slice of life show—often funny, at times heartbreaking —about people yearning for something better in life. “Atlanta” premiers on Tuesday, September 6, on FX. New comedy starring Pamala Adlon as a single mother of three struggling to balance her professional and personal lives. The show was created by Adlon and Louis C.K, and it debuts on Thursday, September 8, on FX. The NFL regular season is here with a rematch of Super Bowl 50 as the World Champion Denver Broncos take on the Carolina Panthers in the Mile High City. Thursday, September 8, NBC. New dramatic series about a disillusioned marine who returns home to Memphis from Vietnam, only to get caught in a web of corruption and killing. Logan Marshall-Green stars. “Quarry” debuts on Friday, September 9, on Cinemax. Inspired by true events, this new film stars Zelda Williams (the daughter of the late Robin Williams) as a young woman imprisoned by a deranged couple. Saturday, September 11, Lifetime. Masterpiece Theatre brings to life the story of how an aged Winston Churchill (played by Michael Gambon) must outwit his political opponents even after suffering a debilitating stroke. Based on Jonathan Smith’s acclaimed 2015 novel, The Churchill Secret: KBO. Sunday, September 11, PBS. Who will wear the crown for 2017? Check in for all the fun, which comes to us from Atlantic City. Chris Harrison and Sage Steele will share the hosting chores. Sunday, September 11, ABC. If you’re looking for geeky goodness, look no further than “Son of Zorn.” This oddball sitcom mixes animation with live action, and features Jason Sudeikis as a legendary warrior returned to earth to reconnect with his ex-wife and son. The problem is that Zorn is animated, while everyone else isn’t. “Son of Zorn” premieres on Sunday, September 11, on Fox. 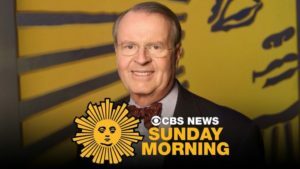 Veteran anchorman Charles Osgood is stepping down from the CBS’ “Sunday Morning,” bringing a 22-year run to an end. Tracey Ullman is returning to TV in a six-episode sketch comedy series for HBO. Watch for the premiere of “Tracey Ullman Show” on October 28. Lifetime is producing a film about the early life of music superstar Britney Spears. “Britney” stars Natasha Bassett and will premiere sometime in 2017. Comedy Central has canceled “The Nightly Show with Larry Wilmore.” Wilmore took over the time slot from Stephen Colbert earlier this year. Netflix has ordered eight episodes of a new comedy series titled “Friends From College.” The series will star Keegan-Michael Key, Cobie Smulders and Fred Savage.